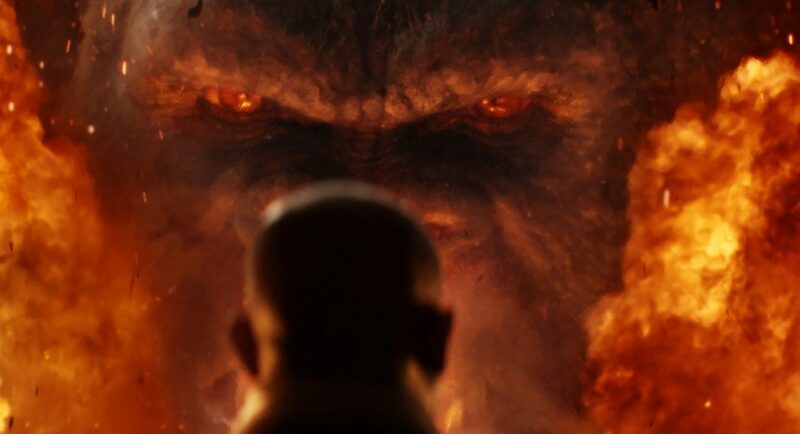 Kong: Skull Island Movie Review - Are You Screening? Despite complaints about the seemingly never-ending line-up of reboots, reworks, sequels, and otherwise unoriginal ideas, each year’s release schedule seems to have more of them, not less. If this didn’t cause enough problems on its own, there’s only so much to redo, which means we’re going to get movies based on things that, though people may know them, were never really interesting in the first place. Going back to the Kong well, yet again, is at this point a bit like remaking the “film” of a train coming at the camera that freaked people out when they’d never seen a movie before. And, since there’s nowhere to get with this movie, there’s no point in making any effort with the story, characters, or plot in general, other than to throw a bunch of goofy stereotypes into a hat. Our characters are who they are, and make the decisions they do, purely because it keeps the film from ending. The film’s opening is a frantic dash to get you to avoid paying attention to it, because we know you just want to get to the island. 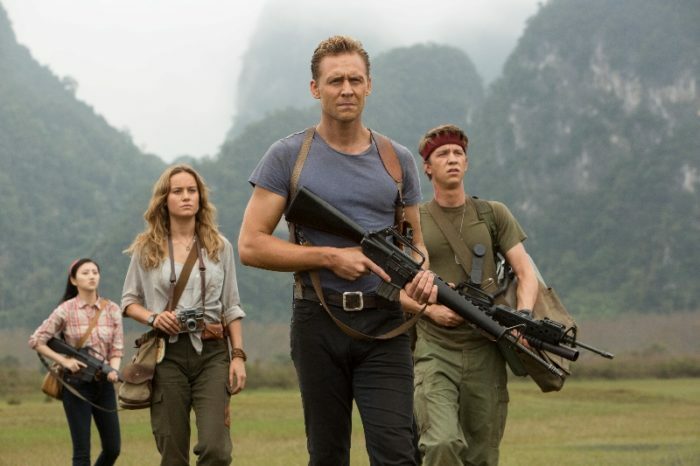 A British spy turned tracker (Tom Hiddleston) is added to the team, as is a photojournalist (Brie Larson), and a helicopter unit who thought they were going home from war. The film pays attention to any of these people to the exact same degree as if a dossier page had flashed on the screen. They never become characters, they’re just roles. Now separated, the various members of our team have to survive a trek through the island of AOUSes (Animals Of Unusual Size), while figuring out how to escape. Luckily, we brought a tracker… and a crazy military commander. On a positive note, we meet Hank Marlow (John C. Reilly), a pilot who has been on the island since he was shot down during World War II (which we see as the film’s open). Hank has made friends with the natives, and knows how to survive on the island. He also knows that Kong is the good guy here, but who is going to explain that to Colonel Packard (Samel L. Jackson)? There are a lot of flaws you’re happy to write off in a monster movie, but being boring isn’t one of them, and this one will have trouble keeping a lot of viewers in their seats. Unless, like Roger Ebert, you thought Indiana Jones and the Kingdom of the Crystal Skull was brilliant. Then you’re in luck.